Home military Transitioning out of the military - what YOU need to know. 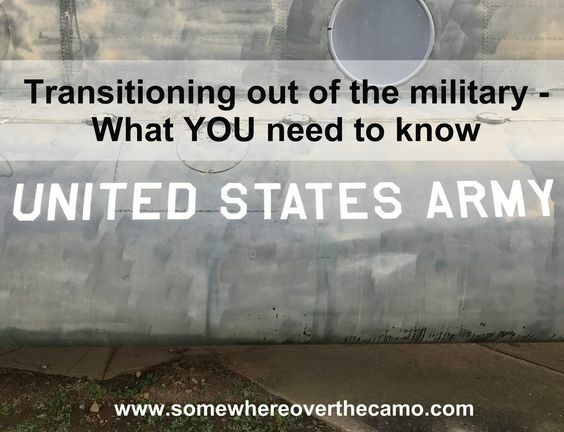 Transitioning out of the military - what YOU need to know. So your spouse came home with news you may or may not have been prepared to hear... your adventure as a military spouse is coming to an end. My husband came home with that news less than a year ago. He was being medically discharged from the Army. Officially he has now been separated from the Army for almost two months. But he signed out on terminal leave at the end of October. Here's my best advice for you, the spouse, on how to handle the transitioning period that comes with leaving one world and entering another. ---DON'T PANIC. Easier said than done, I know. But if you can keep your panic instincts under lock and key the whole situation will go a lot smoother. I confess, I panicked at one point. I didn't feel we were getting the answers we needed in a timely manner and one day I just lost it. It's natural, but it also doesn't help. You are still at the mercies of the military. Their timeline will always satisfy their needs, not yours. --BE PATIENT. Also easier said than done. The answers will come. One week you may be waiting on word and the next week you may be out. The last two weeks went absurdly fast but up until then we were playing the waiting game. Patience is not always an easy thing to come by, especially when it comes to your life... I get it. So find whatever solace you can and stick to it. For me, God has a plan worked wonders in talking myself off of the ledge. --HAVE A PLAN A, B AND C. If you only make a plan for the initial time period given... you'll be super stressed when you have two weeks notice of your last day in. Try and keep an open mind and an open end game going. If plan A doesn't work out, have a plan B and C... just in case. The last thing you want is to be done with no idea of what is next. --NETWORK. This helped my husband immensely. He was able to land a job months before his official end date with the Army. He had a great network of people sending him job suggestions and advice for the next steps. Also, LinkedIn worked WONDERS. Use it. It's free! --GO SOMEWHERE YOU KNOW. It's tempting to just start over somewhere fresh... but I definitely think the best thing we did was come back to Kansas. 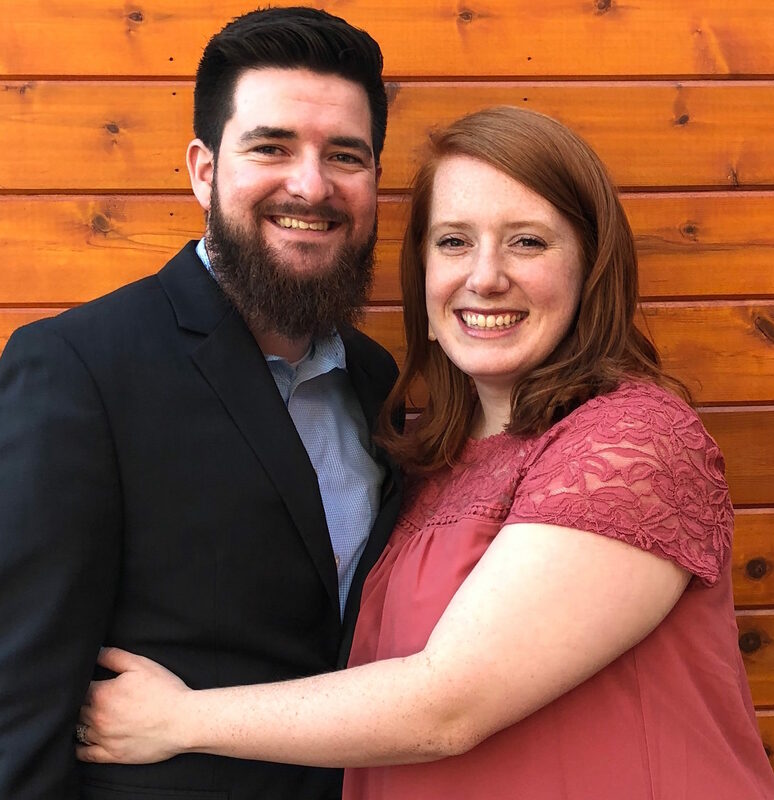 We have a built in support system already and it was easy to figure out Rob's job situation and our living situation since we were familiar with the area. We've even decided to make our current town our forever home. Who would have thought?! --BE THANKFUL. It's easy to be mad when the military decides to unexpectedly give you the boot. But if you can be thankful, it will help with the moving on part. The Army provided my husband years of experience in his field and gave him an amazing starting point for his career. I am and forever will be thankful for that. I spent 6 and a half years living the military life alongside my husband. I left Kansas and my eyes were opened to all that the rest of the country has to offer. I loved most of our adventures and hated some too. Now that we are in the civilian world, I am grateful for the tough times that we went through, because it made us appreciate all that we have now even more. As always, if you face this unexpected road, don't hesitate to shoot me an e-mail! I can give you an idea of what to expect and help prop you up in times of uncertainty. Just remember, you got this. I think your outlook is great and you embraced the change as hectic as it was at the time. I would also add: use every day of leave that you have saved. My dad had his retirement ceremony in May and went off active duty in September. Same as Rob, he was able to line up a new job and took some time off to enjoy fun-employment.